Since it's been almost 2 weeks since the big announcement, I decided it about time to share a a little about baby. 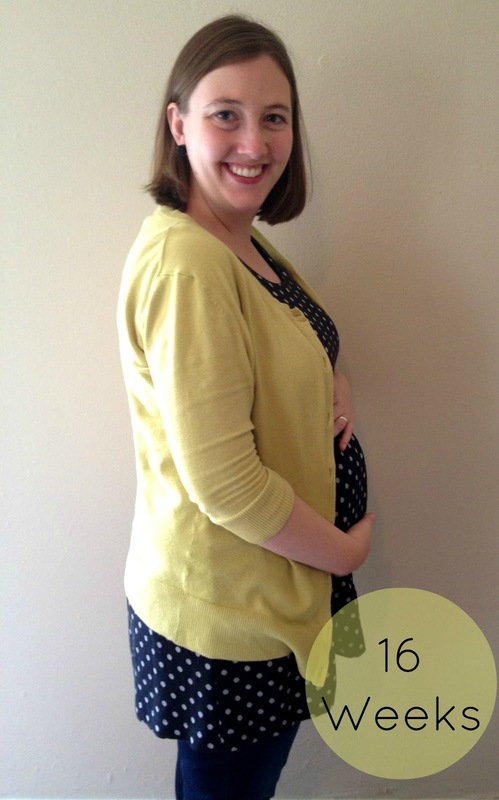 By blogging about it every once in a while, it will help me remember the little details of the pregnancy and enjoy looking back! Baby's size: A turnip! How cute is that? Symptoms: Not much. This pregnancy has been quite smooth so far and for that I'm super grateful! I've been a little sore here and there (all that stretching! ), but I really can't complain. However, I do still wake up about 3 times each night to visit the bathroom! Movement: I've felt flutters a few times (I think it was baby), but I can't wait until baby starts kicking and flipping away! Cravings: I really don't feel like I have many cravings in general. But, I sometimes to get moments of I-must-eat-that! The other night, I wanted white cheddar popcorn and whined about it until Josh went to the store to buy me some! It was a small bag, but I ate the whole thing. Yikes! What I miss: Allergy meds. I had a really bad sinus headache last night and really wanted to take some drugs! But, all the ones I wanted to take were not recommended/approved meds. I also miss sleeping through the night without waking up 3 times!! Good idea posting pregnancy on the blog too (I love the mix!). I kept a really detailed journal for #1, less detailed for #2, and barely wrote my name for #3, wish I'd just had a blog to document everything on! You look GREAT! Glad to hear that everything is going smoothly. I love your goal of exercising 4-5 days a week. 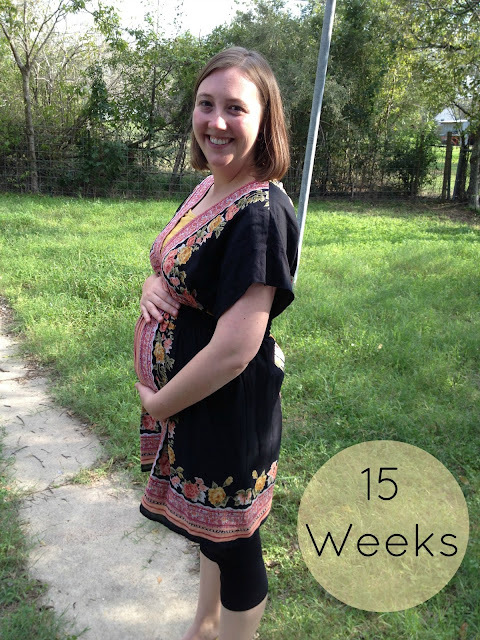 I did prenatal yoga with both of my pregnancies and it was SO helpful. look at you! so cute!